Are you about that Lavender Life?? I hope so.. it is amazing to me that when I was introduced to Lavender, all I thought about was soaps and candles. Yes, these are actually great uses for this amazing essential oil but I was blown away once I learned more about the myriad of benefits and ways you can use lavender. Here are a few of my favorite ways to use the ultimate healer. 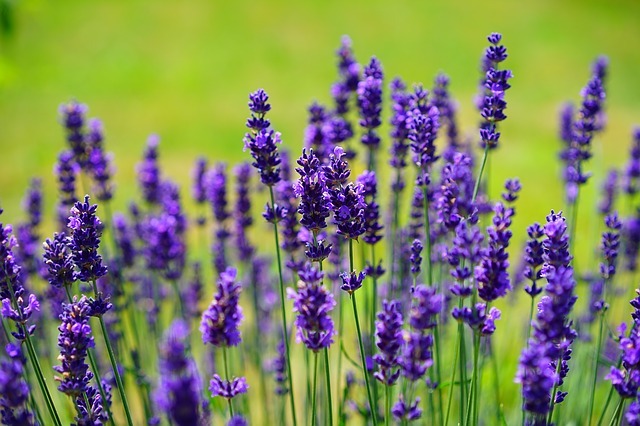 Apply some lavender essential oil on exposed skin when outside to prevent irritating bites. If you happen to be bitten, or stung by a bee, lavender essential oils have anti-inflammatory qualities to reduce pain and irritation. Lavender essential oil can be used to soothe burns, as well as speed the healing process. Lavender essential oil can help make swelling go down and will also help prevent and/or heal scarring. Lavender essential has a calming scent which makes it an excellent tonic for the nerves and anxiety issues. Because of this, it can be helpful in treating migraines, headaches, depression, nervous tension, and emotional stress. It’ a well researched impact on the autonomic nervous system and is frequently used as a treatment for insomnia and as a way to regulate heart -rate variability. Lavender essential oil is known as an excellent remedy for various types of pains including those caused by so and tense muscles, muscular aches, rheumatism, sprains, backache and lumbago. A regular massage with lavender oil can also provide relief from pain in the joints. In terms of Oriental medicine, the cool, dispersing, and relaxing qualities of lavender benefit spasm and pain and general unrest. Lavender essential oil has also been shown to be helpful in treatment of hair loss. Lavender stimulates new hair growth and controls dandruff. As you can see the benefits are endless! Make this ultimate healer apart of your self-care regimen today! https://www.greengoldhairandbody.com/wp-content/uploads/2017/03/gg_logo-340x156.png 0 0 Nneka Otim https://www.greengoldhairandbody.com/wp-content/uploads/2017/03/gg_logo-340x156.png Nneka Otim2017-06-05 11:23:592017-06-29 23:57:59Lavender...The Ultimate Healer!